In a win for prospective homebuyers across the country, the Federal Housing Finance Agency (FHFA) announced on Aug. 21, 2018 that Fannie Mae and Freddie Mac (the Enterprises) will end their single-family rental pilot programs. The FHFA found that the institutional, single-family rental investor market is performing well without the liquidity provided by the Enterprises. Moreover, the Enterprises will limit their participation in the single-family rental market to their prior investments over the past two years. This announcement was celebrated by the National Association of REALTORS® (NAR), which has long advocated for ending the Enterprises’ expansion into the single-family rental market while inventory shortages increase across the country. In the wake of the financial crisis, nearly eight million single-family homes transitioned from owner-occupied to rental homes, limiting the supply for would-be homebuyers, driving up home prices, and weighing on the homeownership rate. Historically, most single-family rentals have been owned by mom-and-pop operations, but Wall Street investors made moves during the recession, buying homes with cash at depressed prices or in foreclosure. As home prices rose and bargains disappeared, investors clamored for ways to reduce costs and maintain stability in their businesses. As a result, the FHFA’s single-family rental pilot program was born. 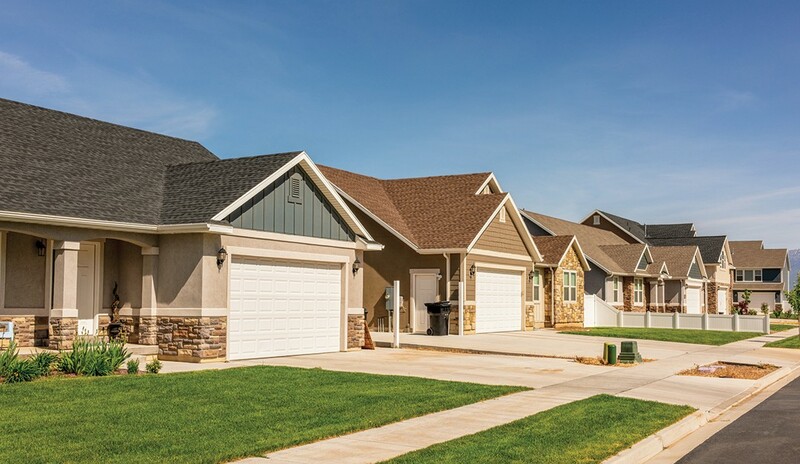 In January 2017, Fannie Mae guaranteed a $945 million portfolio of loans owned by Invitation Homes Inc., Blackstone Group LP’s single-family rental business. The deal effectively financed Invitation Home’s portfolio at a low rate, allowing it to take cash from the deal to expand operations. At the time, NAR raised concerns about this deal, which Blackstone Group indicated in regulatory filings would be used to finance its purchases of single-family homes in California, Florida, North Carolina and other areas across the country that would be rented out in markets with limited supply. NAR also argued that, rather than focusing on allowing well-qualified Americans to build wealth through affordable mortgage options, Fannie Mae was actively financing large institutions to compete with them. These investors did not expand the affordable housing stock; rather, in the limited market, they drove up rents and removed affordable inventory from the hands of prospective American homeowners. The longstanding mission of the FHFA and the Enterprises, established by Congress, should be to promote a liquid and efficient national housing market while maintaining the safety and standards of loans guaranteed by the Enterprises. This means providing qualified American consumers with an affordable alternative to FHA, not financing Wall Street landlords, subsidizing the purchase of underwater mortgages to investment banks, or selling homes in bulk to large investors. Following the Fannie Mae and Invitation Homes deal, Freddie Mac decided it also wanted to enter the blossoming business of capitalizing on single-family rentals. Prior to FHFA’s announcement in August, Freddie Mac beat out two private lenders to finance a single-family rental portfolio. Specifically, the deal guaranteed a $509 million loan that facilitated Front Yard Residential Corp., a buyer of rental homes, to purchase a competitor. Freddie Mac also provided a guarantee on a $7.8 million loan that enabled Promise Homes Co. to acquire 117 homes in the Southeast. At a time when we’re seeing a historically low homeownership rate, our nation needs the Enterprises to bolster homeownership opportunities for millions of responsible, middle-class American families. Vijay Yadlapati is a senior policy representative for the National Association of REALTORS®. For more information, please visit www.nar.realtor.